we can’t go back – or can we? We’re at the halfway mark of January’s calendar and just this morning I realized that yesterday was the first time I didn’t do something that I said I would do every single day during this winter season. I never once stepped foot outside. Yes, the weather was ugh-ly and cold and dismal and gloomy – you probably don’t want to hear my listing of winter adjectives so I’ll stop right there. Suffice it to say, it was a lousy day! I became angry with myself at the realization; however, today is a NEW day and I am going to don coat, gloves, scarf, and warm shoes and venture outdoors even if it is only for a few minutes today at lunchtime. Promise. We’ve all heard it and probably said it a few times. Indeed, we should not live in a state of regret. Yet, there are a few truths that we can go back to over and over and over again. God sent His one and only Son to die for our sins. Mercy was offered at Calvary. Jesus resurrected from the grave. Jesus is alive and well and sits at the right hand of Father God. Grace is available and free. Jesus is going to return to earth one day! These are facts we can re-visit daily if necessary – if you need to go back to something then go back to these, not your past mistakes or regrets. The devil would like nothing more than to keep you wallowing in your former sin and despair – let’s start reminding him of Whose we are and remind him of HIS FUTURE. I did go outside today! Regret is a common theme today. I have now read a few posts focused on that word today. 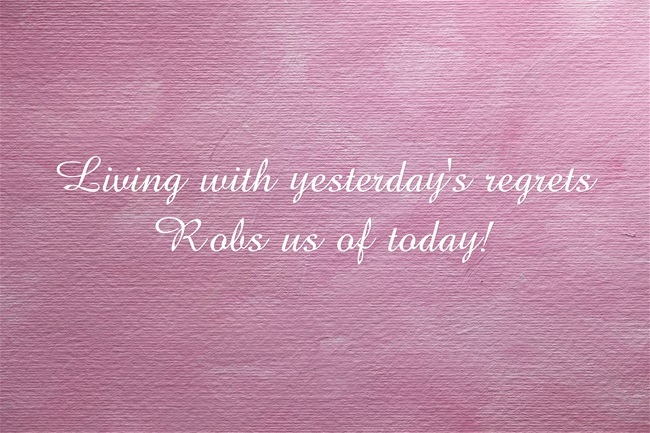 You are so right…focusing on our regrets robs us of today. I need that reminder more often than not! 🙂 And glad you got to enjoy some time outside today! Tara, looking forward, pressing on! Good reminder here that God transforms us. While I think it’s good to remember what God has done, dwelling on regrets and what did or didn’t happen certainly can steal today’s joy. Joy is my focus this year, so this is good for me to think about. I’m glad you linked up for #ThreeWordWednesday. Kristin, regret is definitely a joy-robber! 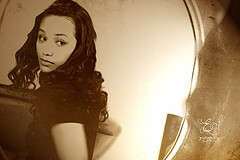 Karrilee, ♫tomorrow, tomorrow♫ we love you tomorrow! Margie, it definitely has a way of clearing one’s head! I too wrote about regrets today! 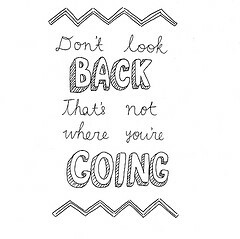 What a great reminder to go back only to those important truths! Sarah, seems regret wove itself as a theme in cyberland today! Kitty, it’s so simple yet we can really get sucked in by the regret vacuum. UGH-ly! Anita, I only missed the one day of going outside!!!! In the gory weather. Well, you know how my year has gone, but we keep putting one foot in front of the other. I watched a video blurb from Jen Hatmaker the other day and what she said stop me in my tracks. She said she has known God long enough that she pretty much knows how he works, and if he says do this she’s going to do it because he has been faithful and she knows he will continue to be.